This time we watch a classic B-movie from 1987 called Miami Connection. The film is the tale of a Synth pop band who happens to have some incredible martial art abilities, which comes in handy throughout the movie as they are attacked by various other bands, street thugs and ninjas. Yes, I said ninjas. The acting in this film is horrible. The actors put little to no effort into their acting and many of the seem pretty unsure about their lines, like they just grabbed a few random dudes off the streets and stuck them in the movie. The band’s main man is Mark, played by the films producer and writer Y.K. 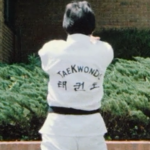 Kim, a Korean immigrant, who evidently sometimes misses his family, who has a black belt in tae kwon do, which we learn from the multiple thugs mentioning this as they run away from Mark and the rest of his band with their tails between their legs. 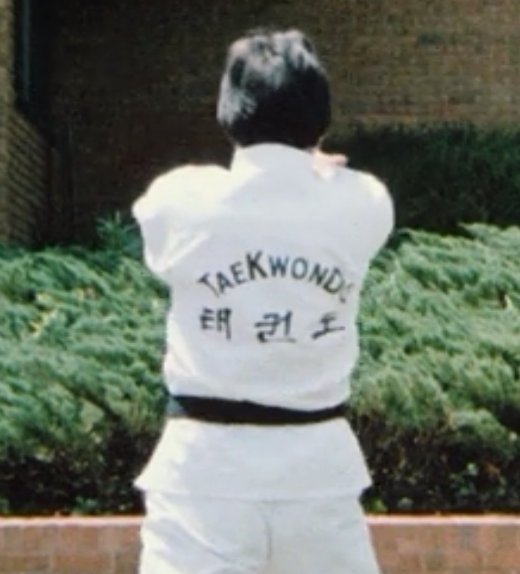 This fact is confirmed by the fact that Mark and his band mates have the word ” Tae Kwon Do” embroidered on the back of their gi. The movie has all of the classic B-movie elements, bad acting, bad dialogue, bad soundtrack, gore, random breasts and a plot where the motives of the characters are questionable at best. This movie is short and sweet and is totally worth your time and Netflix superscription. The movie which was originally panned as one of the worst movies ever was re-released in 2010 to become the cult classic it is considered today. To listen to our commentary podcast just cue up your Netflix and wait for us to tell you to hit play!